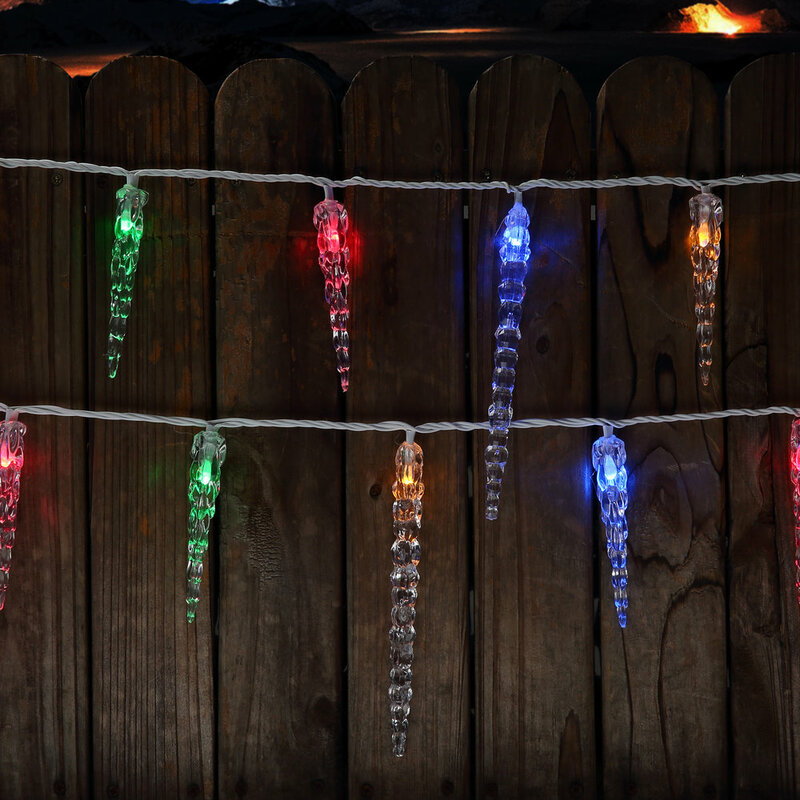 5mm Icicle LED String Light Content — Novolink, Inc.
Bring vibrant colors into you light display with these multi-color Icicle-simulating Lights! You can control the flashing pattern, timers, and brightness all from the Novolink App. Set your mode and enjoy an evening under a rainbow winter wonderland. Connect up to 3 strings. Add-on sets also available. Package Includes: 80ct Icicle 5mm LED String Set, Controller, Transformer, Instructions. 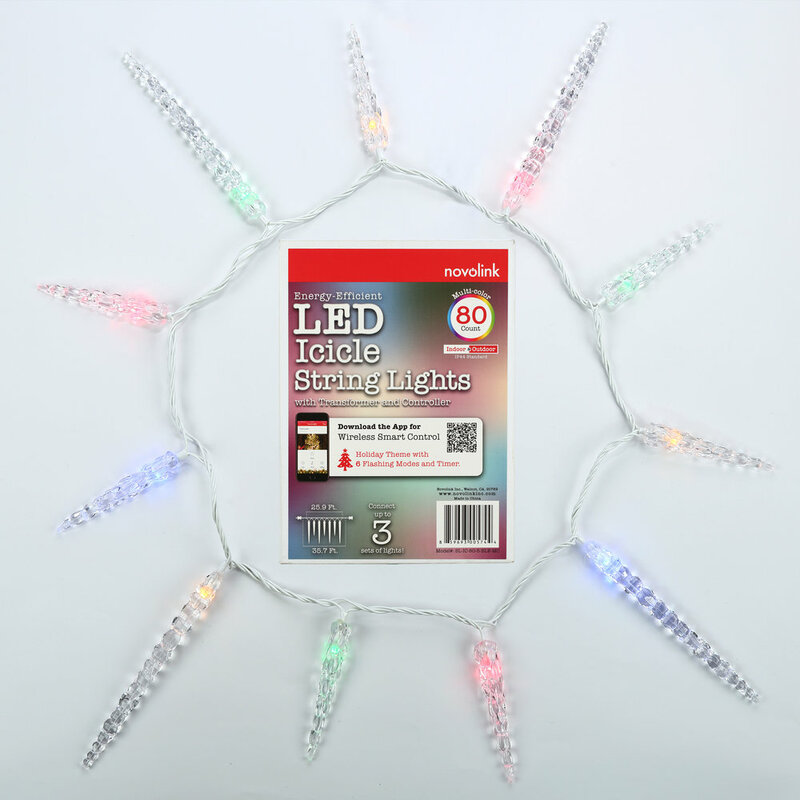 SL-IC-80-5-BLE-MC: Multi-color, 80ct "Icicle" 5mm LED String Set with Controller/Transformer. 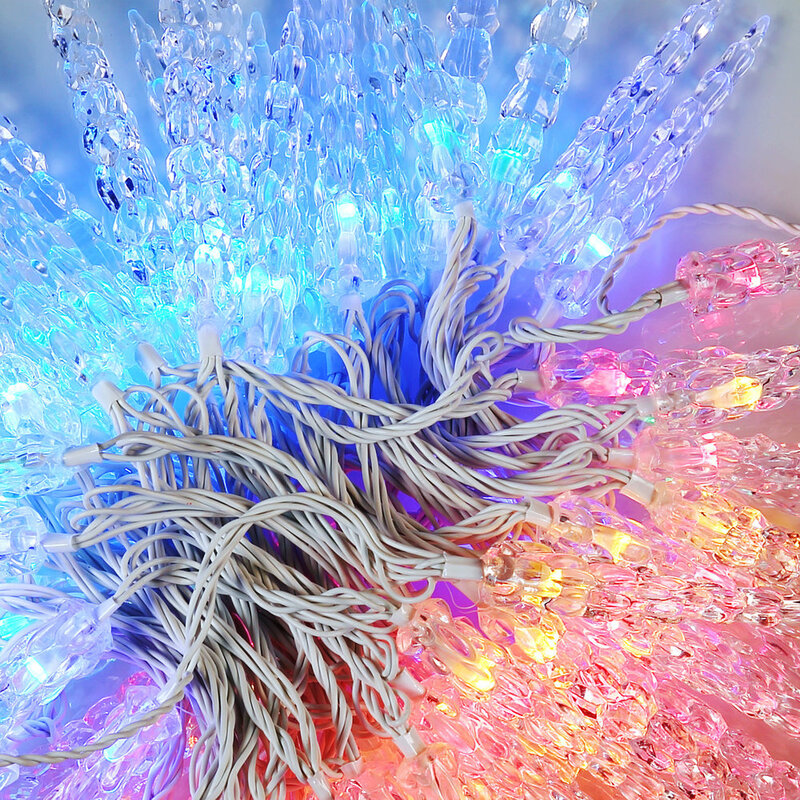 SL-IC-80-5-ADO-MC: Multi-color, 80ct "Icicle" 5mm LED String Add-on Extension Set.